Partnership is a core value at It’s Time Network, as a growing number of innovative organizations and individual leaders know that it is imperative to work together across all sectors to achieve whole systems change. As a network, we are building services and structure to support collaboration, collective actions, and collective funding among network partners. Leilani is passionate about the need to regenerate Earth’s ecosystems: Since 2007, she has committed to adopting an acre of rainforest for every race in which she competes. 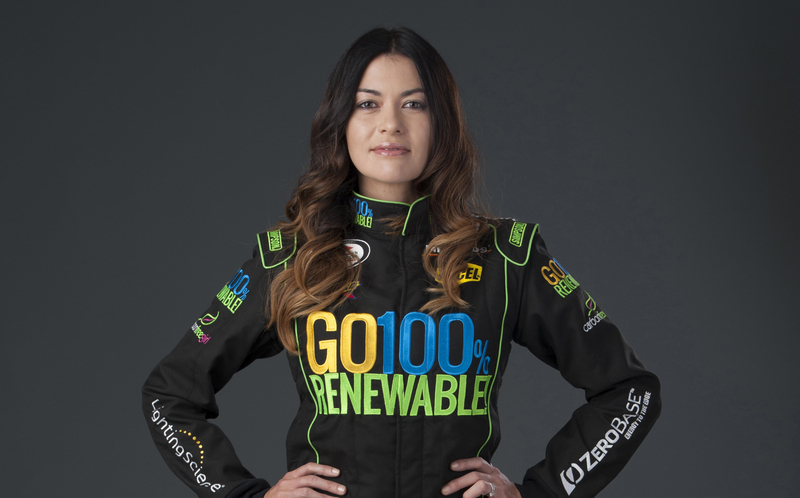 Discovery's Planet Green named her the #1 eco athlete in the world and Sports Illustrated named her one of the top ten female race car drivers in the world. She also serves on the boards of The Solutions Project and Oceanic Preservation Society. One of the many remarkable things about Leilani is her commitment to the environment in every aspect of her life. She doesn’t just talk about and promote renewable energy, or promote it in her work, she’s also made impactful decisions to reduce her environmental footprint in all aspects of her personal life. She is a vegan and believes that reducing meat consumption is one of the most important actions we can take to reduce carbon and environmental destruction of rainforests. She owns a home supported by renewable energy - it features solar panels, a 550 gallon rainwater collection system, solar and LED lighting, and a vegetable garden - and drives a Tesla Model S.
Not only does Leilani set a powerful example of how to reduce waste and carbon emissions, she is also a strong advocate for the humane treatment of animals. She was recently featured in Racing Extinction, a documentary film by the Oceanic Preservation Society in 2015, that exposes global issues of endangered species and mass extinction. You can check out the trailer here, or get the full video on iTunes, Google Play and Amazon as well as on DVD and Blu-Ray. You can learn more about Leilani and her inspiring work by reading the blogs on her website. She often writes about the challenges we all face in protecting the Earth, and provides actionable solutions for reducing our environmental footprint. You can also follow her races and speaking engagements as she travels the world in support of renewable energy and animal activism. Her next event is at Sustainable Brands in Cape Town, South Africa on May 14th, where she’ll do a Q&A session following a screening of Racing Extinction, followed by a speech at the same location on May 17th. Stay connected with her work, as well as her upcoming events and speaking engagements by following her on Twitter and Instagram.